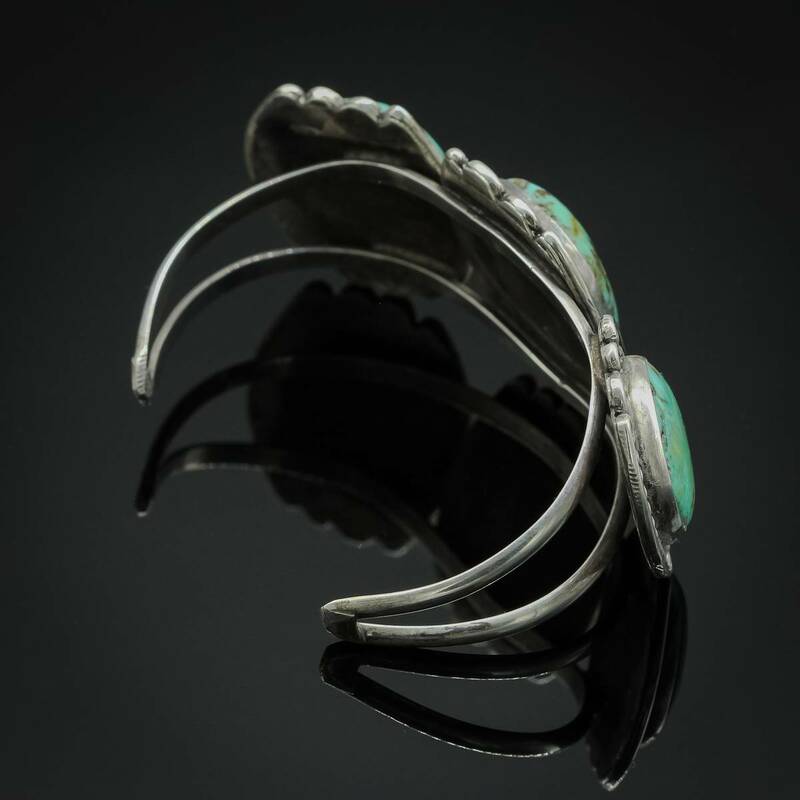 Three Stone Turquoise Bracelet. Measures 6 3/4" Which Includes a 1 1/2" Opening. 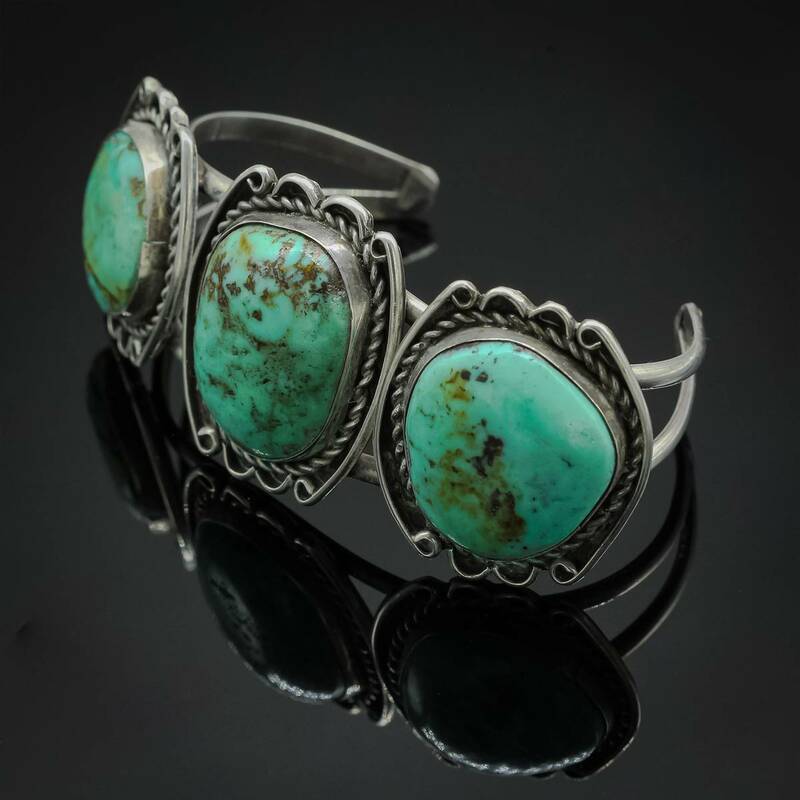 This exquisite three stone turquoise bracelet is certain to add a touch of elegance to your collection while perfectly representing the spirit of the southwest. 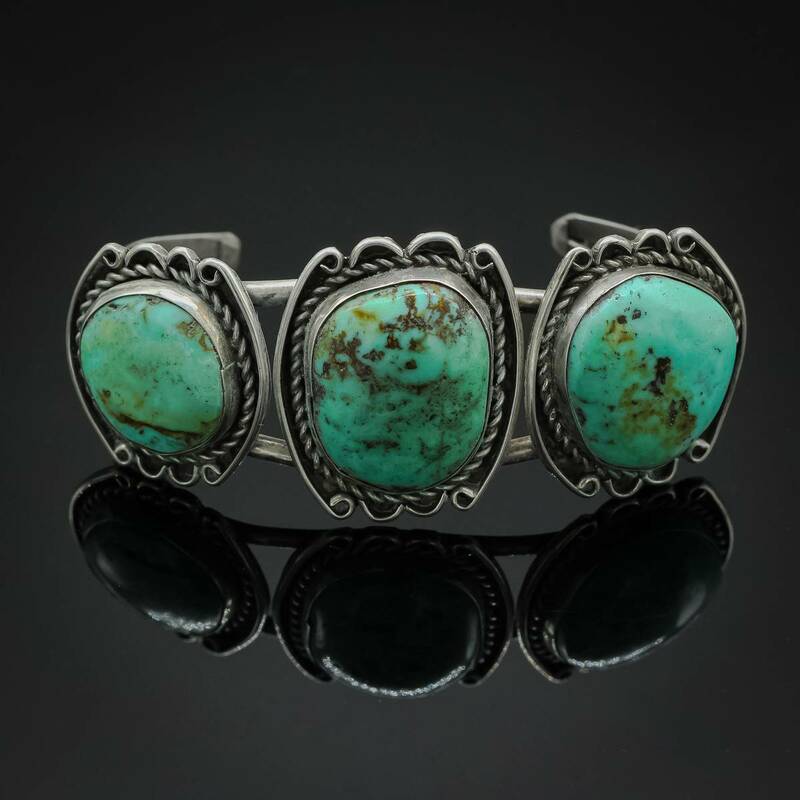 With three gorgeous stones set in a smooth bezel, this work of art is accented with silver rope surrounding each setting. Center stone measures 1".